One of the first systems to be ASME certified. On the basis of this philosophy, the company has, for decades, implemented a strict Quality System according to which all the steps of manufacturing and product control are performed. This system has been evaluated and accepted by all our major customers as it has by important certification institutes, such as the Italian IGQ (Quality Assurance Institute), a member of IQ-Net, and the German institute, TÜV SÜD. 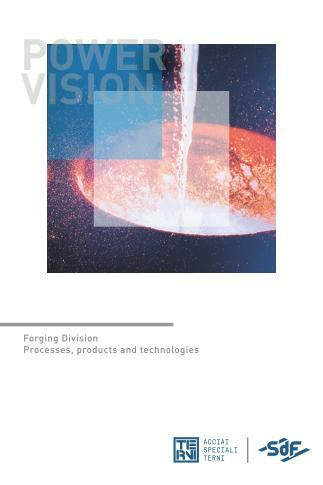 Our quality system was one of the first Italian Quality Assurance systems to be accepted by ASME for manufacturing forged products for nuclear applications that must fulfil the requirements of Section III, NCA-3800. The current ASME QSC-622 certificate was issued by the Forging Division of Acciai Speciali Terni with the following purpose: “Organisation of materials that produces and supplies ferrous materials, including the qualification of uncredited organisations of material, the use of unqualified raw materials and the approval and monitoring of suppliers”. Our quality system is regularly updated to meet the increasingly stringent standards of reference and customers’ requirements.